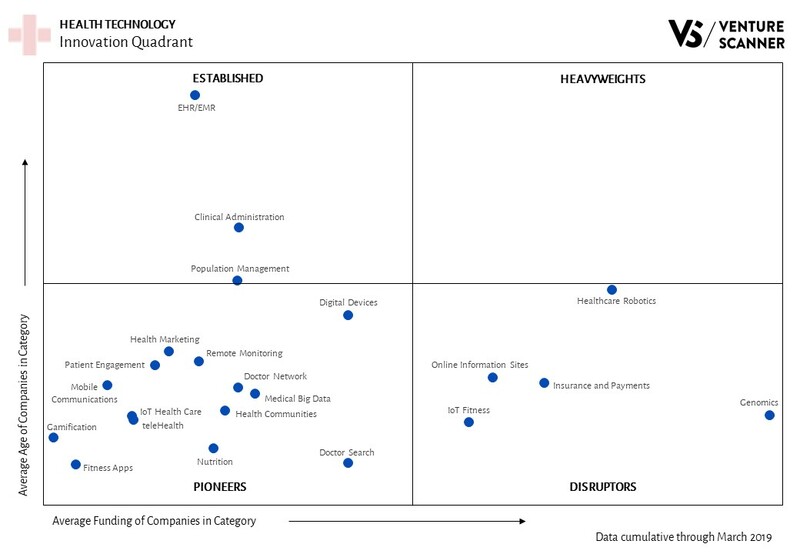 As we make our way through Q1 of 2019, let’s look back on 2018 and analyze how exit activity for health technology compares to previous years. The graphic below shows total annual health technology exit events over time. 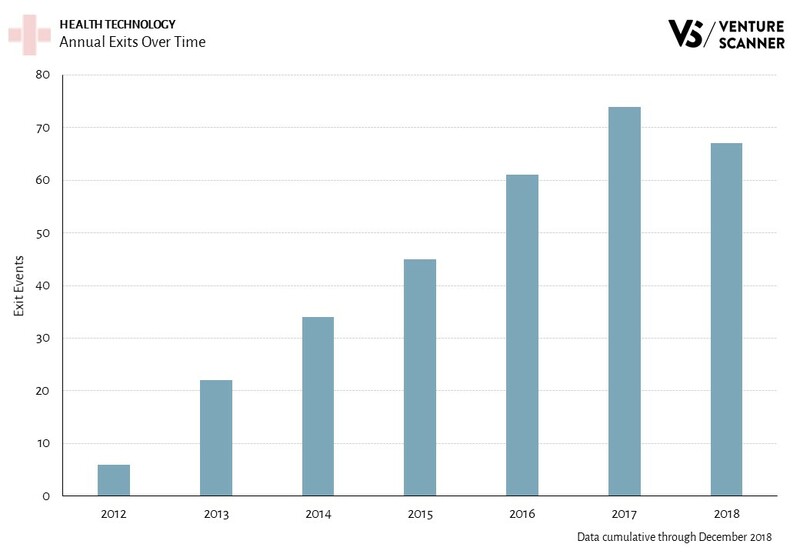 As the graphic demonstrates, 2018 saw a drop in health technology exit activity compared to the previous year. The 67 exit events in 2018 represent a 9% decrease from the 74 exit events in 2017, which was the highest year on record for exit activity. 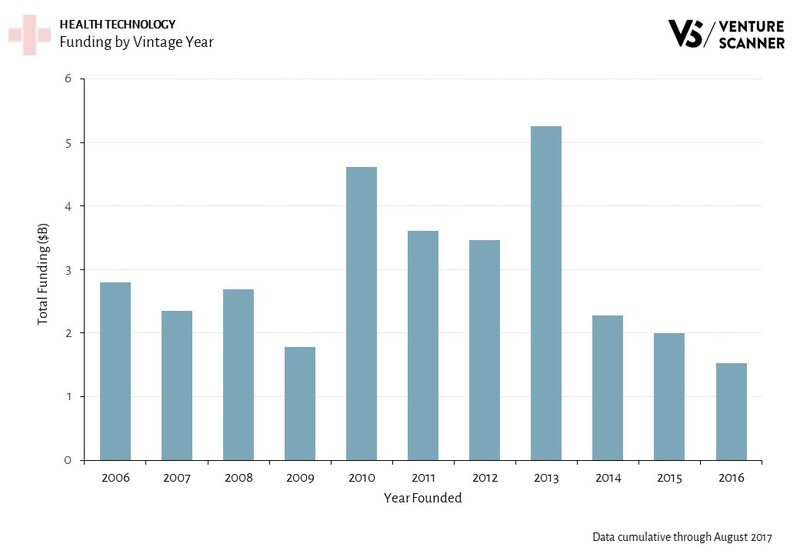 However, health technology exits are still on a general upward trend, with a 5-year CAGR of 25% from 2013 to 2018. Some of the exit events in 2018 include AveXis’s acquisition by Novartis for $8.7B, Flatiron Health’s acquisition by Roche for $1.9B, and PillPack’s acquisition by Amazon for $1B. 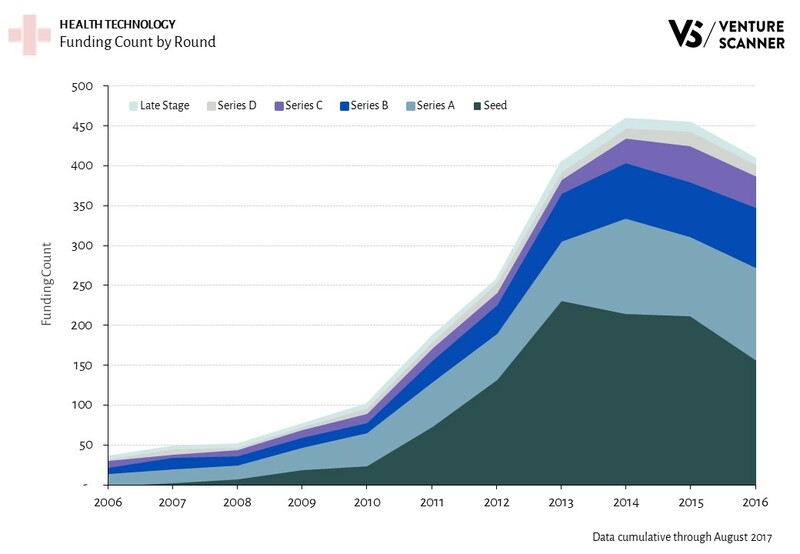 The following graphs highlight recent trends in Health Technology startup funding activity. The graphics include data through August 2017. 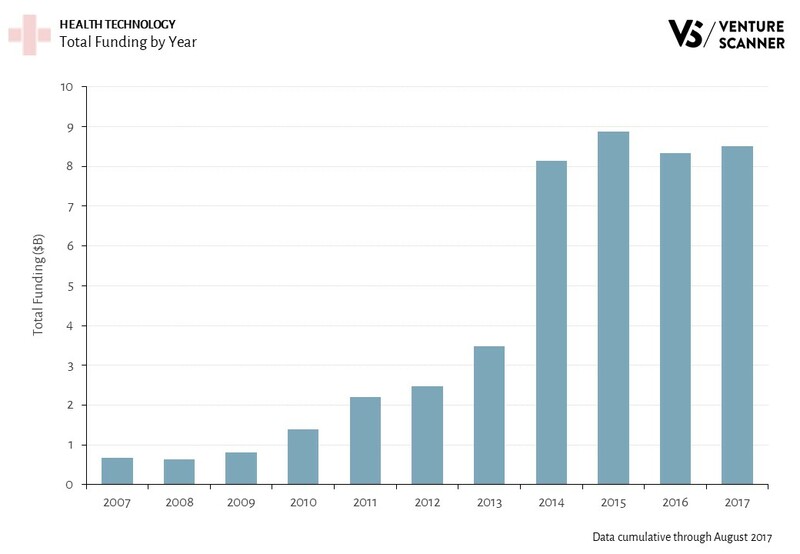 The above graph summarizes the total funding raised by Health Technology startups for each year. 2015 has the most funding to date at around $8.9B. 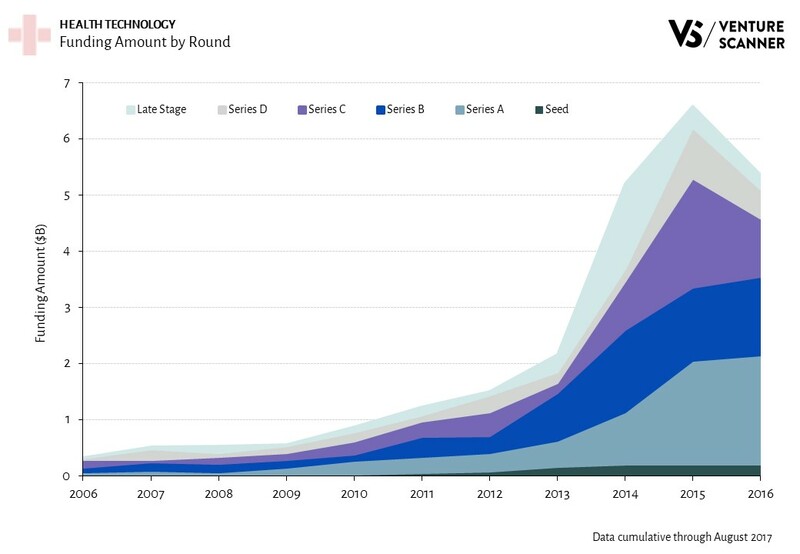 The above graph summarizes the total amount of funding raised by Health Technology companies founded in a certain year. Companies founded in 2013 have raised the most funding at around $5.2B. We are currently tracking 2053 Health Technology companies in 22 categories across 57 countries, with a total of $52.9 Billion in funding. Click here to learn more about the full Health Technology market report.